Born: September 30, 1800 in Rochester Ma. 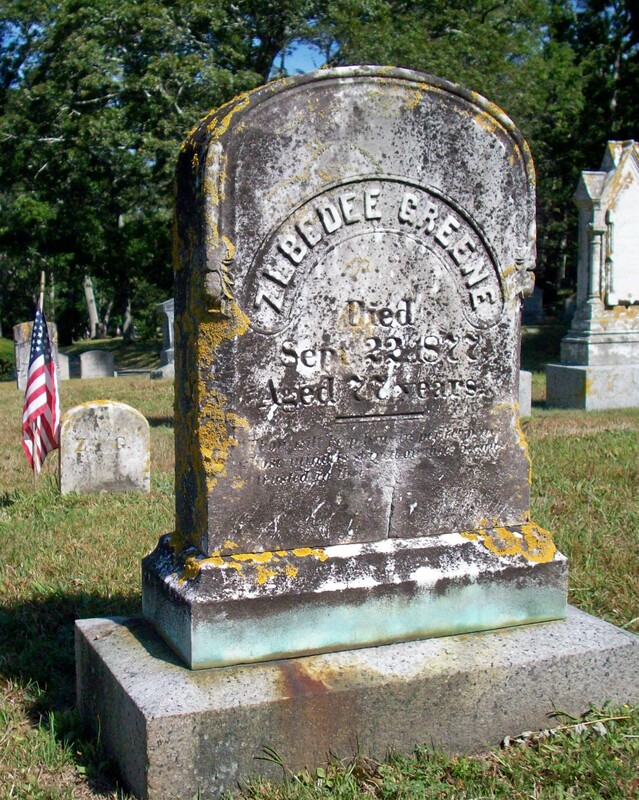 Died: September 22, 1877 in Sandwich Ma. at 77 yrs. Occupation: Bookkeeper, Pocasset Postmaster (1859-1862). 1. Lucy S. Greene Nye; (June 27, 1828 – August 29, 1868);Married Charles Henry Nye (1821 – 1907) (Francis Nye, Jr. & Abigail Tobey) in Sandwich Ma. on January 11, 1848; Lucy & Charles are buried in North Falmouth Cemetery. 2. Elizabeth Freeman Greene; (1829 – July 5, 1830); Elizabeth died at 7 mos, 2d. & is buried next to her father in Cataumet Cemetery. 3. Henry C. Green, Civil War; (October 15, 1833 – May 30, 1898); Married Sarah Ann (Fowler) Raymond (1830 – 1912) (Phillip G. Fowler & Olive Tuttle) in Dorchester Ma. on December 21, 1882; Sarah married (1) Sylvanus Harlow Raymond (1830 – 1875) (Ebenezer Raymond, Jr. & Catherine Adams) inSandwich Ma. 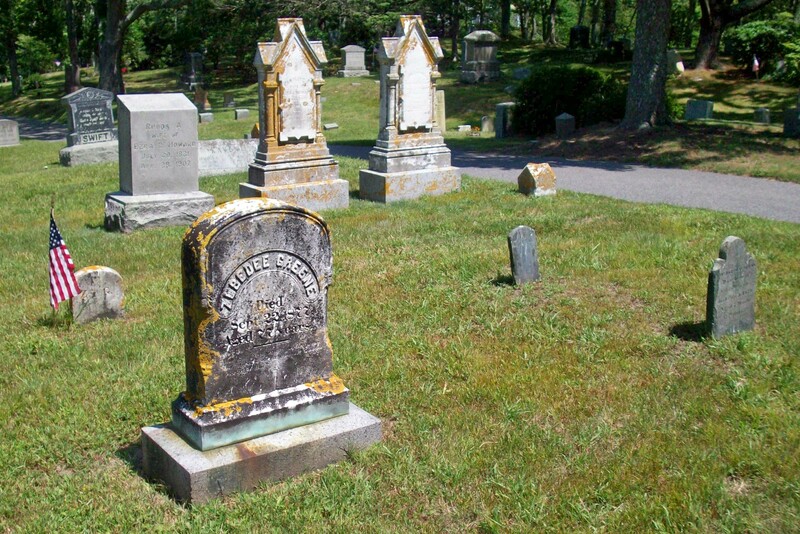 on December 22, 1853; Henry, Sarah & Sylvanus arel burried in Pocasset Cemetery. 4. Ellen Freeman Greene Mahurin; (July 14, 1839 – April 12, 1925); Married William H. Mahurin (1839 – 1914) (Benjamin P. Mahurin & Alice/Ann Maria Briggs) in Sandwich Ma. 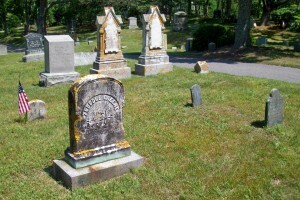 on July 24, 1864; Ellen & William are buried in Pocasset Cemetery.